The famous quote often attributed to thought leader Peter Drucker goes, “Culture eats strategy for breakfast.” It is often agreed that how we do things is more important than how well we do them. In other words, it is often agreed that culture is more important than strategy. But do we really put that into practice? How much effort are you placing on your company’s culture? Simply put, culture is the way we do things. It is less about what we want to achieve and more about who we are. Putting a focus on it will go a long way. 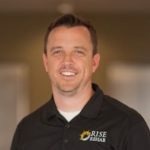 Will Humphreys shares what has been done at Rise Rehab to improve our culture and how it’s helped in hiring the right people, letting go of the wrong people, and create a productive and meaningful organization that people love to work for. I have the opportunity to re-interview my business partner, Will Humphreys. After our first interview, episode number two of my podcast, and some of the audio difficulties, we decided to get together and talk again and have another go at it. Will was really excited to focus on simply one thing and that is culture. Will has done some great things in our company and to create a better culture and I thought it would be extremely valuable to have a discussion about it. Out of the many complex definitions of culture, the one that resonates the most is simply, ‘Culture is the way we do things around here.’ One camp subscribes the famous quote often attributed to thought leader Peter Drucker, “Culture eats strategy for breakfast.” hence our title, but everyone simply agrees in theory that who we are is at least as important as what we want to achieve. In Dr. Brown’s experience, she can tell a lot about the culture and values of a group, family, organization by asking these ten questions, and I want you as you listen to them to consider these questions and their answers in relationship to your organization or even your family. Number one, what behaviors are rewarded and what behaviors are punished? Where and how are people actually spending their resources, time, money, and attention? What rules and expectations are followed and forced and what rules and expectations are ignored? Do people feel safe and supported talking about how they feel and asking for what they need? What are the sacred cows and who is likely to tip them? Who stands the cows back up? What stories are legend and what values do they convey? What happens when someone fails, disappoints or makes a mistake? How is vulnerability perceived? How prevalent are shame and blame, and how are they showing up? What’s the collective tolerance for discomfort? Is the discomfort of learning, trying new things, giving, and receiving feedback normalized, or is there a high premium put on comfort and how does that look? The power of these questions is in the ability to shed light on the darkest areas of our lives. Are we disconnected, disengaged or are we struggling for worthiness? Not only do these questions help us understand our culture, but they serve us in discrepancies between what we say and what we do or between the values we espouse and the values we practice. That little quote from Brené Brown and I think it is a good starting point to consider the value of culture in our companies and how we want our employees to feel as they’re working with us and as customers come into our clinic. I just know that as we focus on our purpose, on our values and ultimately our culture or company, we will begin to see more stability and freedom and we’ll have employees that are aligned with us to accomplish our goals. Take a listen to Will’s interview and see what you can do to improve your culture. Thanks, Will, for meeting me again. I appreciate it. Thanks for having me back a second time. I think we’ve got a lot of great stuff to cover because we talked about a number of things related to the podcast that you’re really excited about and I want to hit on as well. I’m so excited that you’re entering this space in a way that you’re doing it. I don’t think anyone’s doing it this way. Your guests after we tried that interview, they’ve been amazing. I really appreciate it and I really loved your feedback because we’re going to get into something that I don’t feel like I’ve covered so far yet in the interviews, but could be something that is transformative to owners if they’re not focused on it. If they do spend some time on it, I think it can be influential in changing the entire focus of their company and make it easier for them as owners. For those who didn’t listen to the first episode that I had with Will, you’ll want to go back and listen to it. Will has an incredible inspirational story about how he got into physical therapy and his experience in the rock-climbing incident and all of that. As well as talked about what really was his flexion point or at least the burnout stage that he had working as an independent physical therapist in a rural setting. All of that stuff I think it was hilarious and it was a great story. Let’s start a little bit somewhere in the middle of your story there, Will, because we’re going to get into something else and this will help us set the foundation. Tell me a little bit about your experience then as you took on another physical therapy clinic. For those people who haven’t heard that story, just to bring up to speed, Will and I first worked together. He was the clinic director at a second location that I opened up. He eventually bought that from me. He and I then also opened up another clinic in another location, so there was a his, his and ours type of scenario where I had my clinic, he had his clinic and then we shared another clinic that we own together. It’s at that point of the story that I want to get into a little bit about Will’s transformation and the ideas that came forth that helped him turn things around in his life both professionally and personally. The only thing I’d add is that you and I started working together and that’s fifteen years that we opened up Florence, Arizona. When I started working for you, it was like this cool opportunity to start growing a company and learn the ins and outs of being a leader. I very quickly fell in love with the area and you and I as we talk different ways of how we could help me become an owner, it just worked best for us to do a full purchase and so that there really wasn’t a big transition at that point. That was the big surprise for me. The story is that when I went from being a clinician director to owner, there was a little bit more to do, but there were some benefits that offset anything that was difficult. You and I having had such a successful mutual arrangement decided to open up another location jointly in the city of Maricopa. That was being completely blind to where I was in my career. You and I were directors, treaters and owners of our separate locations, and then we started opening a third location where we couldn’t physically be there. In retrospect that’s when I started the transition without intending to of being a guy who owns my job versus a guy who was going to own a business. As a result of that, it was a nightmare for sure. 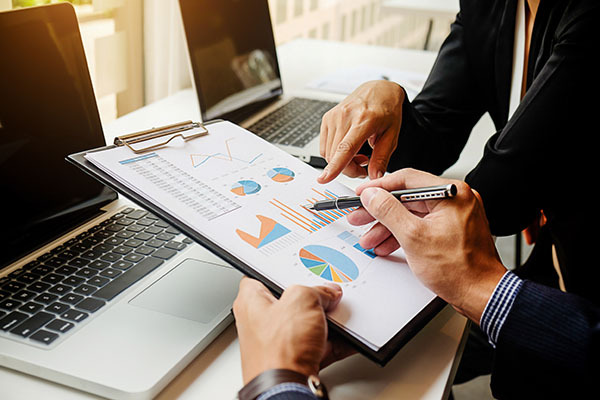 Culture Eats Strategy: When I went from being a clinician director to owner, there was a little bit more to do, but there were some benefits that offset anything that was difficult. You can’t leave us hanging. Tell us about the nightmare. Just to put it in some perspective, I’ll briefly highlight. I got into physical therapy by falling off a mountain and breaking twenty bones, both arms and both legs, open, compound fractures, all that. Then at UTEP, I was investigated by the FBI for terrorist activity. I wasn’t a terrorist, by the way, but I got cleared for that. There was a lot of pain around that really and I mean this, there was nothing compared to the pain of that moment for me when I found myself driving an hour and a half between clinics in Arizona where it’s 110 degrees. I remember one day when it was really there after months of working weekends and long nights and having to put money into things that should be giving me money and missing birthdays and vacations and stuff. I remember there’s this one day where I was driving down to Maricopa and I was in a white Tacoma truck. The AC was busted and so I’m driving an hour and a half from Florence in summer and it’s 115 degrees from Florence to Maricopa. I had to pack a change of shirts because I knew this was going to happen. While I’m driving, the charts that I was taking to Maricopa to do my notes to catch up at night were so heavy that the seatbelt alarm was sounding in my truck. There was so much weight. My truck thought there was a physical person sitting next to me. This was prior to HIPAA, the charts, right? Yeah. I’m going from clinic to clinic. I’m transporting but this was years ago. I’m driving to Maricopa, I am sure I was done. I went home at night, I saw my wife at 10:30. She was awake and I’m like, “I’m done. I’m walking away.” She was like, “I get it. You’ve got to get out of this.” This isn’t like a way of life and I had to swallow some real serious pride and admit that I wasn’t like those guys who just start businesses and kill it but I didn’t care, I was in so much pain. My wife lovingly suggested something. My wife’s very atypical in that she’s super calm and cool most of the time. I think a lot of other people wouldn’t have handled it as well as she did and she was just like, “Why don’t you give it one more try but this time why don’t you try finding a coach? Why don’t you try joining a business network?” She had heard about this thing called Accelerator for very small businesses. It’s an adjunct to Entrepreneurs’ Organization, which is the largest business networking group in the world. Vistage is number one in the US but EO is the biggest in the world. They had a guy who I knew who was into it and that’s what I did, so I joined that and that was really the turning point for everything as a result. What’s funny is I look at it as a lifeline, like I’ve got to just do something, this is something to do. What it turned into was a realization that this is what the best of the best do in the world. They constantly look out new information. They’re constantly seeking out networks of people. You’ve heard time and time again, your network is your net worth. That’s huge when I’ve seen now fifteen years later or whatever, ten years later, how that impacted things. It’s beyond my wildest dreams, going from that place to where we are today as a company. It’s unbelievable. Looking back then with some perspective where you are now, what kind of things happen both intentionally and unintentionally to really start seeing and stimulating change and progression and growth in the company? What I didn’t know that I was doing at the time was I was investing in myself. It’s funny how becoming a physical therapist, we understand initially we have to go to school, but yet starting a business for many people, they’re smart enough to know maybe that’s why you shouldn’t start a business, but for both of us we’re just like, “Let’s do it.” You take that risk and then you realize later you have to invest in yourself. Investing in my self was really unintentional but what ended up resulting is, I learned about business on all aspects of it. We started working and that was where you and I came together and started putting in these pieces of your systems, your strategy, “Here’s execution and here’s marketing.” Over time what came for me probably the most powerful lesson and benefit, and this is the highlight of what I’m sure we’re going to talk about, is creating a culture in our company, is the accumulation of all that investment and is the primary driver that results in how well the business can function as a business not as a guy who owns a job. It’s independent of you but of course you are a huge part of it because you and I came together and determined our values, our mission statements and how we do things. That’s what our culture is, it’s essentially how we do things. We want to be a system-driven company that’s not dependent upon the owners. We want people who love working for us and we love being a part of their team and we want to create something bigger. All those things I think come together as what we would call culture. I like that you’re looking to define the word because I think that it gets a reputation for being a flowery, emotionally-driven aspect of business and over the years, it’s gotten a lot more buy in, but it’s not clearly defined. I think you defined it perfectly in a sense from how I define it, is that culture is the experience of being in the business. Whether you’re an employee, whether you’re an owner, it’s that experience. That’s driven by systems, it’s driven by clarity of values, it’s all of those components. I think the biggest thing I’ve learned over my unintentional and intentional efforts, is that there’s some really basic things that anyone can do to dramatically impact their culture. In healthcare in particular, we suffer from a culture epidemic. In healthcare we do have an organic culture of helping others. There’s an already built-in component since we’re service-based, but how to differentiate? That’s how we drive recruiting. That’s how you and I have had so much success in recruiting, marketing, growth and retention. All those components of how those processes are lived have come from the ideas of culture. 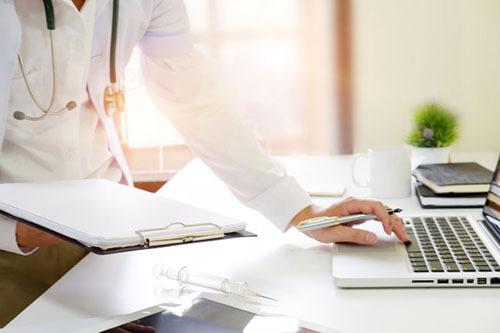 In healthcare and to use a healthcare term, things can become very sterile very quickly and thus the culture throughout different clinics can become homogenized or simply completely dependent upon the owner, if they’re a smaller clinic. It’s all about the owner and everything he does, but we didn’t want that. You said there are some very simple things that we can do to create culture. What are some of the things that you did that you believe really started creating a culture within our company? I say what I did, but this is a we as well because I want to recognize that you were fundamental in all of this. We got together and the first thing we did was put some clear language around our values and our purpose. We talk about, again, the flowery concept of owning a business. It’s the mission, vision, values. 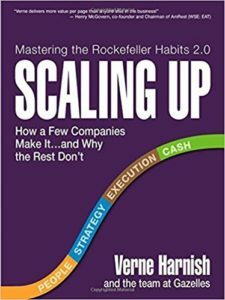 Verne Harnish from Scaling Up indicates that you can go with mission or purpose but nowadays purpose has a little bit more of an emotional connection as to why you exist. That’s the whole Simon Sinek thing of starting with the why you exist then you can focus on how you do things. Then lastly, like a concentric circle, how you do things. Why you exist is an emotionally driving force that comes from looking backwards in your rear-view mirror, you’ll find it. How you got to where you are today is the story of the purpose as to where you want to go. Mission statements can be very long and very verbose and forgettable. The key thing with clarity on this, because clarity equals power, is knowing clearly why you exist in your business, your personal and then as a company why that company exists, and then putting values around that. The values are the key drivers for the decision making. Here’s a way to really test and see if your values are in fact legitimate for you is, would you fire someone for not living that value? Those are the easiest firings to have. It is when you hire them with the values, when you fire them. We’ve had experiences where we fired someone and then afterwards was asked to officiate the marriage of that person. That’s the power of culture in a moment like that. Where there’s no stress over firing someone and it’s done in a way where the person feels honored and they still promote you positively despite being let go, which isn’t always, but it’s possible when you have a culture like that. I think what was really powerful for us back when we merged, for me in particular, was the process we went through in determining our values. We came down to four values: professionalism, accountability, growth and empathy. It was really heartening in that at that time to come together and determine what values define how we do things. Just to give people an example of the exercise that we took as we listed every characteristic, every value, every word that we thought might be appropriate for how we wanted to be seen and how we wanted to work. We started knocking off those that were maybe similar in definition and nature and went with the one that we thought was more appropriate. We’d come down to maybe eight or ten words that described us. We started prioritizing and really talking about each word and what it meant to us. As we did that, some of them didn’t feel as aligned. There’s just a feeling more so than anything or even as we talked about it, we agreed, “That really doesn’t explain what I want to do or how I want to be seen.” We knocked those off and eventually came down to the four that we have. It’s cool that they form an acronym so it’s easy to remember them if we put them into PAGE: professionalism, accountability, growth and empathy. It was a foundational point in our relationship or as a company to really define our values. From that time forward, it’s been very easy for us to share that in interviews, in team meetings and in hirings and firings. Part of our employee assessments, all are centered around our values and it helps us drive those home. Even if we were not fully living up to them, it’s easy to then have the conversation, “What can we do better to be more professional,” or even look back on different scenarios and what could we have done to be more accountable or does this help with growth. I don’t know about you, but I felt like that experience was one that was helpful in establishing the culture from the very get go is determining our values. I think that of all those things, mission, vision, values, purpose, the two key ones to start with, if you don’t have anything, and this was told to us through consultants, is purpose and values. The purpose again is the seed of the culture, the values help regulate the decisions around that. We did it a little bit reversed. We ended coming up with the purpose slightly after our values, but either way, I think one message I want to get out there is regardless of size, whether you have 100 clinics or you’re a sole operator of one clinic, the path to freedom and the path of happiness starts with clarity around why you exist and how you regulate it. I talked to you a little bit about it with Shaun Kirk in his interview, if you don’t have a purpose and you’re not clear on that purpose, then it’s going to be really hard to get through the tough times. I could be able to see past those. You going to sit there and say, why am I doing this? Why am I putting myself through this? If your purpose is clear, then you’re able to fight through it and figure out a different or a better way. If you’re not clear on your purpose, then it’s really easy to give up and maybe throw in the towel or blame others or just fall apart. What’s cool too about what you said is that, once an owner is clear on that, the key thing is to simplify it down so that it can be easily remembered by anyone who hears it. Like our company purpose is to be the light in the lives of others. Our values, we use an acronym PAGE and we use it like, “Are we on the same page?” meaning are our values aligned? There are little things you can do as an owner and that we did that have dramatically impacted how people might not only resonate with it but how they can remember it. Once we got clear independently on it and we started living those, which is the next thing, because it’s one thing to have them, if we didn’t live those values, there is no point in creating and having them. If anything, it hurts culture because we create distrust from people seeing us say one thing and live another. There’s a whole podcast on how maybe we have evolved into really honoring our word around our values. Once that was created, then presenting it to a team and learning how to drive it is a totally different and very simple process that can be done. It starts to take the weight of the business off of the owner’s shoulders and puts it on other people because they give a crap, they care enough. They’re mostly bought in to a point where they’re entrepreneurs, owning from within without actual ownership of the company because they believe it. We see it all the time in larger companies like Zappos, Amazon or Apple. These people they bleed their culture to the point where it’s almost a cult and small medical PT companies can create the same thing. What are some of those things that you’re doing now that you think are vital to creating, maintaining, and improving the culture in Rise Rehab? You hit the main one right off when you were describing how we started recruiting. Anything from our ads to reviews to how we fire is based off of those values and then driving the purpose. Apart from reinforcing the values and purpose throughout those phases, there’s an incredible opportunity to drive culture through our meetings and our meeting with them. Meetings are very important but they can also be an incredible burden. Having them be efficient into the point but also be focused on the values is a big deal. In our case, what we’ll do is in every weekly meeting and then in every monthly director training meeting, there’s a discussion, a brief one albeit, over a value. A question can be asked simply what does empathy look like in the situation we saw. Just small, little discussions can impact things. Probably the number one surveyed, most loved thing about working at Rise right now from our team is a quarterly meeting we do called the Quarterly Town Hall. All of these meetings, by the way, are found in their structure in Verne Harnish’s book Scaling Up. In this Quarterly Town Hall, we shut down, we bring all 50 people together for an afternoon on a Friday, once a quarter we get together. We, as a leadership team, asked the team to highlight people in the company who have impacted them through their values. It turns into a love fest for each other and it’s cool because the more they love each other and the experience of the company, the less it’s about the owner. I really think our team likes me. I know for a fact that if I got hit by a bus tomorrow, Rise would exist as a standalone with people who are driven by loving what they do because they love each other. It’s all about relationships. Culture Eats Strategy: With a strong culture, I’ve created an ability for me to be a real focused provider and step into any aspect of the business that serves me. That’s because they’ve aligned with the purpose and the values. They’ve gone to love the purpose, the values of the company and not just Will Humphreys or Nathan Shields. It’s not about us at that point, it’s about something bigger than our selves. Then the next thing after that, for sure this was a surprise for me, is finding a charity to support. It sounds like an easy thing but we picked a charity called Feed My Starving Children. Since our purpose is to be the light in the lives of others, we created what was called the Light and Hope Wall in each of our clinics. What we do is we ask patients and team members alike to look for opportunities to write down acts of light. Whether that’s someone just smiling at them as they came in the door or someone covering a shift or a patient who’s made their day. We’ve had patients talk about family members who aren’t even in Rise and they plaster the wall with these sticky little notes. They’re nicely shaped little things that stick on the wall. For every message we donate a dollar to Feed My Starving Children. We do quarterly packing events where we go down as a team and pack. You combine those with the town hall and instantly the love started flowing for each other because it wasn’t about coming to work anymore. It was related in purpose, but it was different than soft tissue mobs. Maybe it’s intentional, maybe it’s unintentional, have you seen a benefit in creating and improving the culture of the clinics and your ability to recruit or even keep people on staff? Keep doing that. At some point you’re going to bring up the #MeToo Movement or something like that. The point is that it was so fun and our table would just have a crowd of people there. Now, we have a waiting list of people to go to anywhere in our company but what’s powerful, and this is something I didn’t realize that would happen is when you start recruiting that way, first of all, you started tracking these rock stars who start immediately buying into the culture, a rising tide raises all ships. That culture is the rising tide and everyone starts coming on board at a higher level. Then the word, this is the surprise and the coolest thing is that I hear when I meet people now after years of doing this, the last two years in particular, I meet people, “Rise, I have heard that you guys are so fun.” They talk like that versus, “I’ve heard of you,” and they start sharing how they’ve heard of you in a way that aligns with what you’re trying to say. It’s so much bigger. It’s almost like you have to, as an owner, let go of your pride a little bit. I honestly look back and think part of the reason I had a hard time seeing all these things to do was because I’ve got some satisfaction of being the culture, being the guy that the patients wanted to see or the employees wanted to work for. There’s nothing wrong with that if people want to stay there, but if people want to be free and be able to grow and develop in other ways, there’s no other way that through culture. There are two things there. Number one, we’re small fish in a big pond when it comes to Phoenix. For the fact that our name is able to get out there simply by what you’re doing in your recruiting efforts. Through the culture that you created, word is spreading by word of mouth and not necessarily by the number of places our name is placed across the valley, that’s all really impressive and it’s cool. Number two, and correct me if I’m wrong, but like you said, really attract some people to the company that are not only aligned but are rock stars but it also helps us weed out some of those people who maybe they’re rock stars for another team. We’re able to figure out who’s aligned with us and we’re able to not only weed them out, but they’re able to weed themselves out. Have you had some experience with that? As we looked at that, and as well as some other factors that kicked in, we flat out said, “I don’t think it’s a fit.” He was like, “Me neither.” I said, “What can we do?” It’s a different discussion. It’s not even firing at that point because it’s like a realization that I instigated in that case, it was to self-eliminate, that’s a gift. When I instigated that, it was like I wasn’t stressed up the night before and we sat down and talked and as a result of that, he gave us more than four weeks’ notice. He was able to leave in a way to where he didn’t let his volume drop and I gave him a positive recommendation. That’s not always going to happen. Sometimes despite our best intentions you got to fire quick because they’re just bad news but most of the time I would say that if we’re focused on culture, we’re only going to attract rock stars or rock stars for other companies for the most part. It takes a lot of the effort and the heavy lifting off of the owners is when those people buy into the culture, you get the right people on the bus and in the right seats on the bus. They’re going to drive that bus for you. You can maybe be standing up looking ahead into the future as the visionary, but they’re going to do a lot of the heavy lifting. They’re going to do a lot of the work and if you have that kind of culture and it’s really driven down well, they’re going to hold each other to those values and it’s not going to have to come from the top down. Ideal scene is you get other team members talking to their team members, their peers regarding the values and holding them accountable. I think a real turning point for us culturally was when I had an entry-level employee holding me accountable for being late to a meeting. In a loving way, by the way, it wasn’t done in a way to where it was like I felt bad afterwards. There’s something about when they’re willing to hold you accountable in a way to where you feel like, “This is what I said we’re going to do,” you know they’re doing it for each other. To go back to what you said earlier in the interview, that’s when you can start really realizing some freedom and there’s some foundational fundamental stability in place, but it’s really something then that you can be proud of. That’s really a launching point for you to continue to grow and really do what you want to do. I know you find a lot of joy in creating the culture and in the recruiting and you can spend more of your time and energy in those things that really gives you something. To your point, I think a lot of people hear this when they’re in between, like when they’re in pain, but they haven’t had enough pain to change, the go to is I just want to treat. That was me at one point. I just want to treat my patients. I didn’t know until there was space provided that there were things additionally that I was passionate about, but what if I had been treating? Great, with a strong culture I’ve created an ability for me to be a real focused provider and step into any aspect of the business that serves me or for a lot of people they eventually get to a point where they don’t want to treat three days a week, they want one or two days off a week where they can be home with their families. That’s very realistic and once the culture is there it’s very easy. It starts with us getting out of our way, of seeing how we’re driving it and how we are maybe holding on to it. If you were to look back on your story, your experience now over the past years, what would you tell your younger self? I’ll just give him a hug. I’ll tell him it’s going to be all right. It’s going to be worth it and that click all that stuff, the sweaty shirt stuff. One of the things that resonated with me later that I probably would tell myself is that I’m only going to be as great as I tolerate and it starts from within. I was tolerating inconsistencies as an owner and being real with myself as to where that culture started. It was me being clear about what I wanted, who I was, where I’m going. It’s not like they became clear after a couple of processes for me. It’s still an ongoing journey but I can articulate it exponentially better now. It’s about the journey, not the destination. Giving myself that perspective and it’s going to be fine, don’t give up. Stay focused on doing the best that I can, but I would tell myself, start with culture. I’ve described what it really is to have a good culture like the way we just did in this podcast and then say start with that. Everything else, processes, all those things, those how-to things aren’t as powerful as who we’re being in the company by culture. You start with culture and then other things tend to fall in place it seems. Thanks for coming back and doing another interview with me, Will. I appreciate it. Anytime. I hope it’s not the last. I’m sure we’ll come back around again some time. I was really excited when you mentioned that you wanted to talk a little bit more about your experience and culture because I really wanted to delve into that because I’ve seen what you’ve really been focused on recently and it’s made tremendous strides within our company. I really wanted to share that with the audience so thank you. Will was born and raised in El Paso, Texas. It was as a high school senior that he first became introduced to the field of Physical Therapy when he became a patient himself after a critical rock climbing accident that left him with broken arms, and legs. During this time, he decided he wanted to become a Physical Therapist and help provide the same light and hope to others he was given by his Physical Therapist. He has a wonderful wife and four boys. He enjoys creating an environment that promotes family, fun, and freedom for his team and customers.